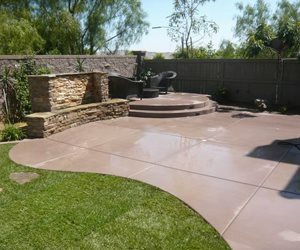 This patio was colored with integral pigments. Use this chart to compare the five most popular color choices for outdoor decorative concrete. Learn the pros and cons of each color and what style of home they pair well with. Concrete can be colored in four different ways: stains, integral pigments, color hardeners and dyes. 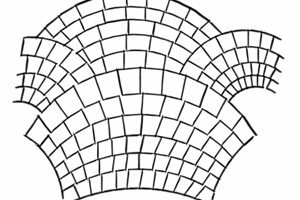 Each of these coloring methods produces different looks and comes with their own set of advantages and disadvantages. Check out the information below to find out which coloring methods suits your needs. 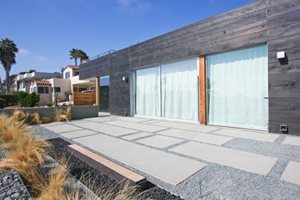 Stains are popular because they can be used on both new and existing concrete. They produce subtle, earth-toned colors that appeal to many homeowners and blend well with natural surroundings. 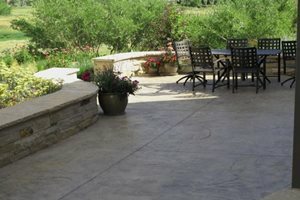 Typical stained concrete colors include tans, browns and terra cottas. Because they penetrate the surface of the concrete, stains produce permanent color that is UV stable. This means that most stains can be used outdoors without fading. Stains are limited in that they are semi-transparent, meaning they won’t hide existing blemishes or patchwork. 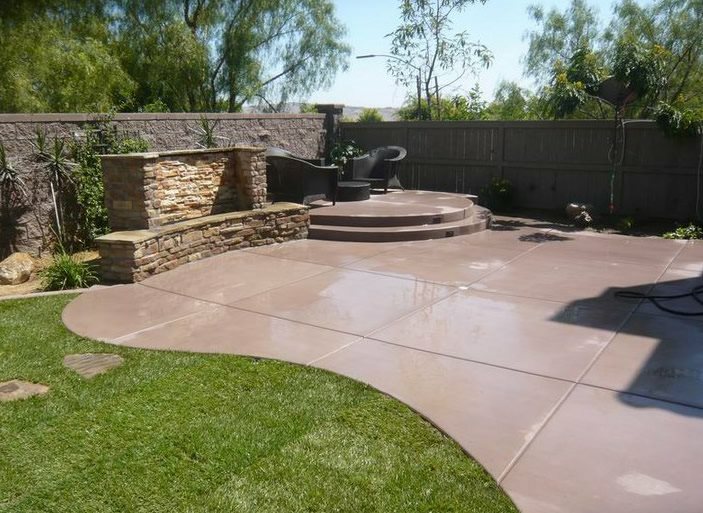 Frequently used with stamped concrete, color hardeners strengthen and add intense color to the surface of concrete. Concrete colored with this method is more resistant to wear, and less vulnerable to moisture and deicing chemicals than standard concrete. Many contractors shy away from color hardeners because of their messy application process. The dry shake powder easily becomes airborne and can cause damage to nearby structures and plants or cause breathing problems for workers. Concrete dyes produce the most vibrant colors of all the methods. Color options include red, orange, yellow, purple and blue. Because dyes produce such strong colors, it is a good idea to have your contractor do a mock-up to make sure you like the result. Dyes are especially popular for creating detailed graphics - think your favorite team’s logo on your basketball court. However, dyes are not popular for outdoor applications because they are likely to fade when exposed to sunlight. If you really like the look of dyes, check with the manufacturer to find out about the UV stability of their product and ask if there is a sealer that will protect the color outdoors.